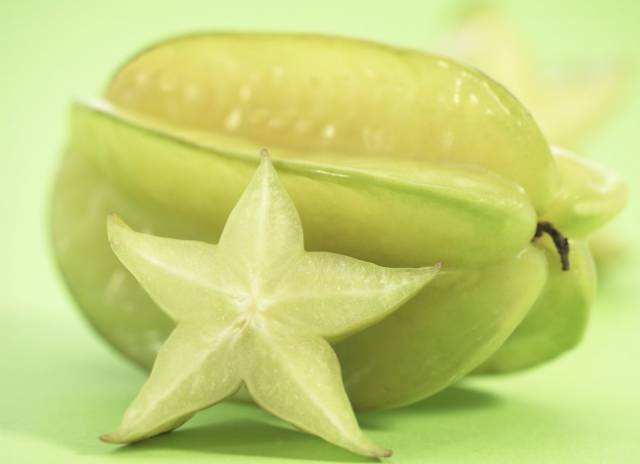 At first sight, carambola seems to be harmless and even good for your health since it contains a lot of vitamin C. However, people with an ulcer or gastritis better avoid eating this beautiful fruit as it carries a lot of oxalic acid. Healthy people should be attentive too because it may cause kidney problems if eaten regularly. A giant bullfrog is considered a delicacy in African and Asian cuisine, and the legs are very popular. When cooked right, this dish is not dangerous. However, you need to remember that the frog’s skin and inner organs are poisonous. There have been cases with fatal consequences when a bullfrog was mixed with other more poisonous frogs. 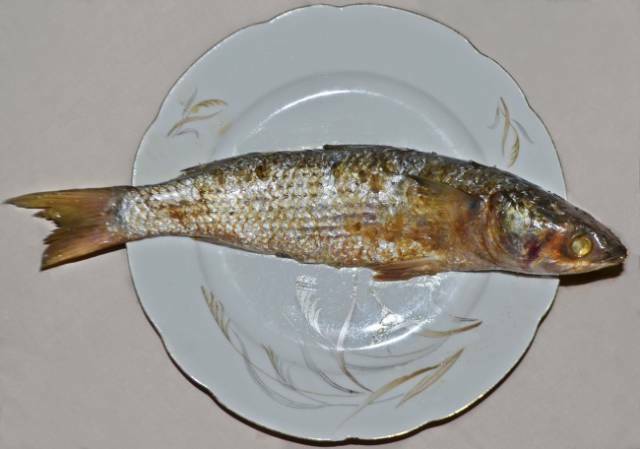 This smelly Egyptian delicacy is a fermented mullet fish. For thousands of years after the Nile flooded, there was a lot of dead fish on the riverbanks. Nowadays, feseekh has become a traditional dish of the national holiday of Sham el-Nessim. The Ministry of Health warns people about the deathly consequences of eating this dish, but the love for traditional food is very strong. 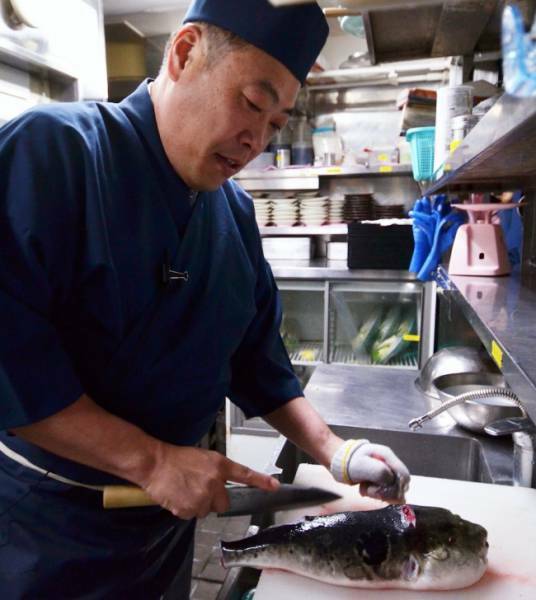 The blowfish, or Tiger puffer, that is used to cook fugu contains an immense amount of the poison tetrodotoxin. Chefs must undergo special training to learn how to cook it properly and to be able to cut out the poisonous parts. However, even this doesn’t guarantee the full safety of a dish, and every year several people die of fugu poisoning in Japan. 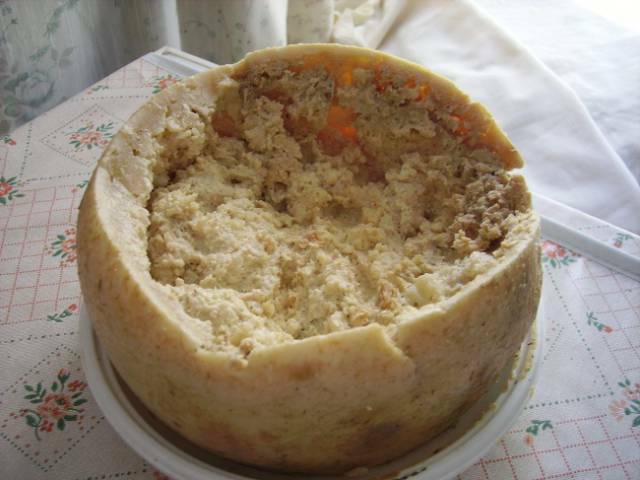 Literally translated from the Sardinian language, its name means "rotten cheese," which it actually is. Cheese fly maggots seem to add extra spice and an amazing taste. However, the consumption of this dish can cause allergic reactions, food poisoning, and larvae infection. Pangium edule, or keluak, is neither a fruit nor a nut. 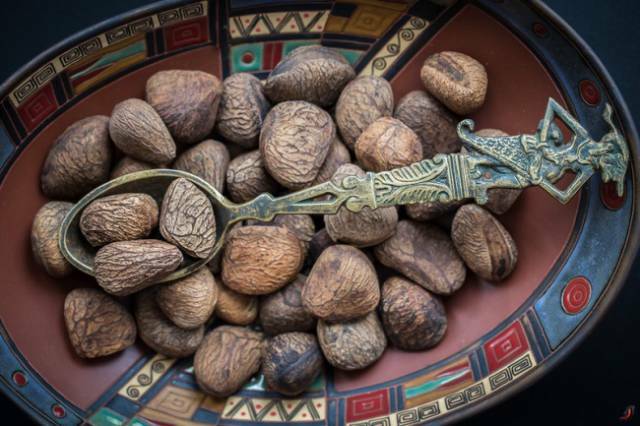 In fact, it’s the seed of the keluak tree that is widely used in South Asian cuisine, although the seeds contain hydrogen cyanide. You can eat them only after they have been boiled without their shells and buried in ash and banana leaves for 40 days. Only after this complicated procedure do they become safe for eating, acquiring a special taste and flavor. In some parts of Lithuania, crow meat pie isn’t unusual, and it can be recommended for men to boost sexual potency. Within the Soviet Union, the Lithuanian authorities tried to ban this tradition because eating the meat of a nature scavenger can harm your health. However, the infections don’t seem to scare people. 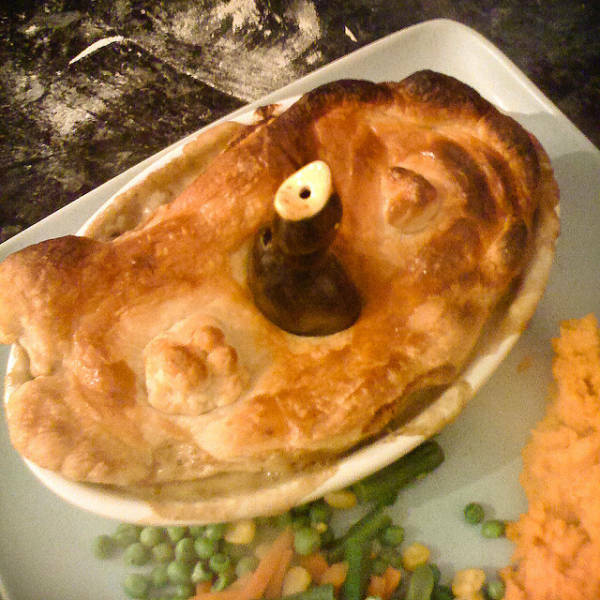 According to National Geographic, traditional crow meat pies are still popular. Duck or goose blood is widely used in Vietnamese cuisine for cooking some soups. 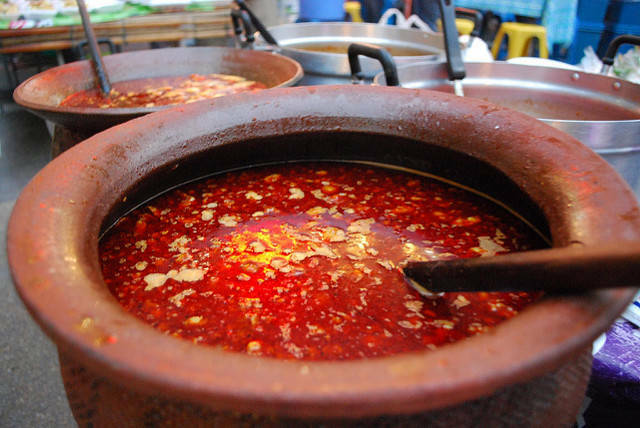 It is believed that both the chef and the one who eats the soup will acquire strength. 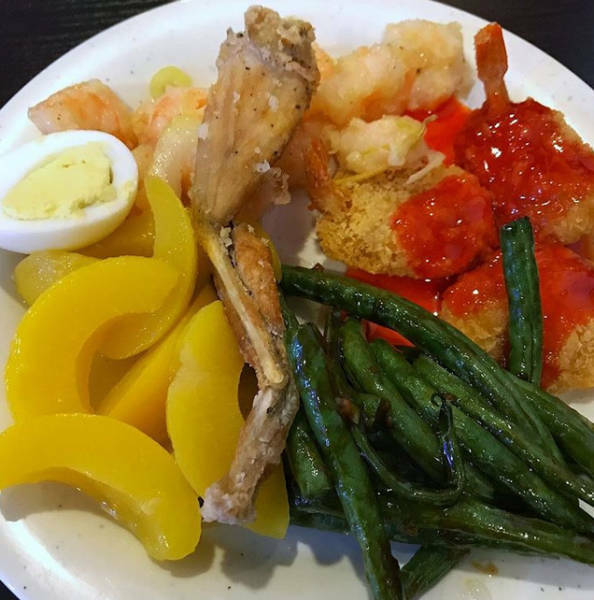 The danger of eating this dish is quite obvious: bird flu virus and other diseases. However, even that can’t stop the bloody soup lovers. 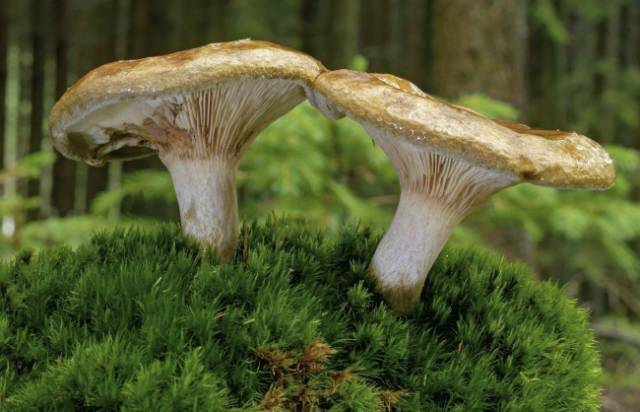 This type of mushroom is very poisonous and dangerous, but the bad qualities are not obvious. It confuses some people who continue gathering it in the forests. Cooking fails to reduce its toxicity, and poison piles up in the human body. The toxins can cause fatal damage to the liver and kidneys. Igunaq is a traditional dish of the Arctic indigenous peoples. It’s made with fermented walrus or deer meat. However, only those who have eaten this dish from childhood can consume it without negative consequences. 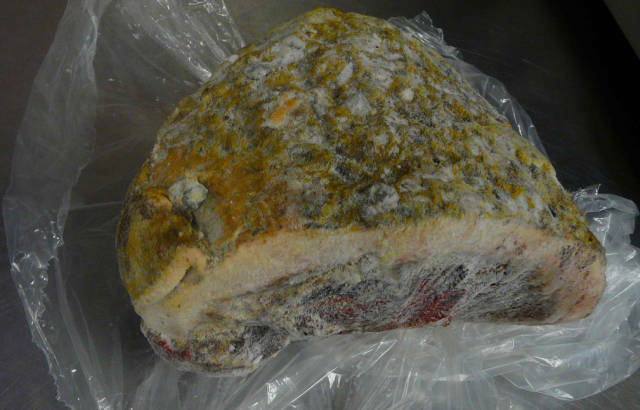 The fermentation process generates poisons that lead to illness and death through botulism. Ackee is a Jamaican national fruit. It’s very poisonous: the fruit contains the toxins hypoglycin A and hypoglycin B. 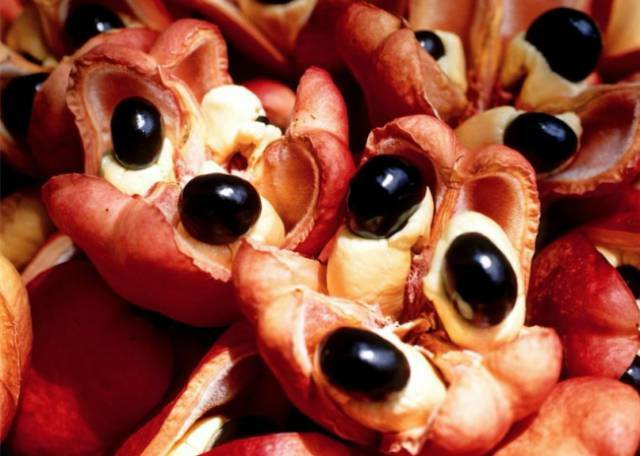 The ackee fruits are edible, but the seeds are toxic. Eating the fruit can ultimately cause Jamaican vomiting disease. Bats are a traditional part of Asian cuisine, often referred to as the "chickens of the cave." 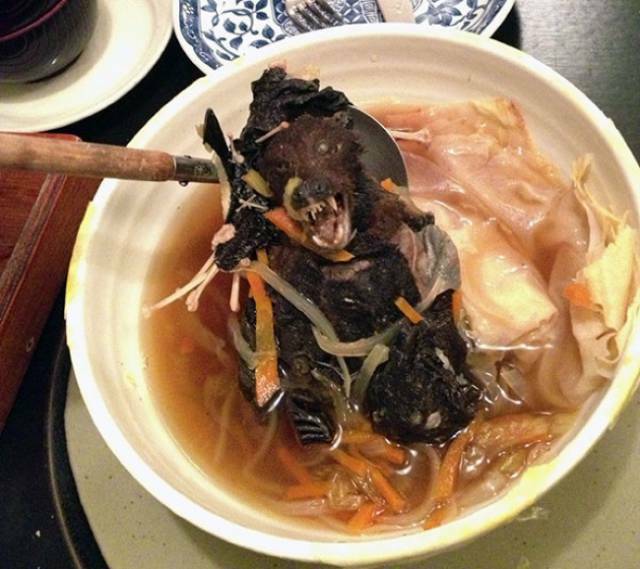 Chefs put a whole bat into a bowl of soup and serve it. Bat meat is considered to be very tasty and has healing qualities. In fact, bats can carry diseases, so maybe you should order something else.